This is a story of ordinary people coping with extraordinary consequences, two families, of how they lived life in Baltimore in the early years of the twentieth century, and had to get on with that life even though enormous things were happening all around and to them. The description of the period and of Baltimore itself is very well written – as a social history this is an excellent novel. Do you need constant action to make a novel an interesting one? 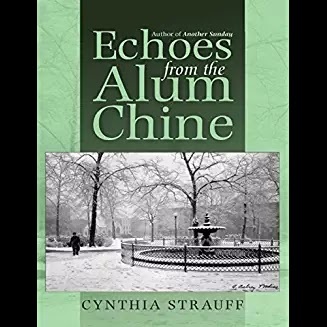 Echoes From The Alum Chine has a gentle and sedate rhythm to it, the relationships between the two families is interesting, how they cope is interesting ... as a depiction of family drama in the pre-World War One era of American life, this is an interesting read. We are currently accepting payments via PayPal only. Contact us if you would prefer to pay by personal check.